In an odd change of tune from previous years, Senate Majority Leader Mitch McConnell did not rule out the possibility of confirming another Supreme Court Justice in 2020 if a seat is left open. McConnell, who cited the fact that it was an election year in order to blocked the nomination of Merrick Garland during Former President Barack Obama’s final year in the oval office, left open the possibility of filling a seat on the Supreme Court if it was vacant in during the next election. In several interviews given on Sunday, the senator implied that sitting presidents shouldn’t get to confirm nominees to the highest court during presidential elections if their party does not control the Senate. When the Democrats were seeking to fill the seat left end of Antonin Scalia’s 30 year spot on the bench, leading Republicans controlling the Senate in 2016 argued that it should be the next president who would decided who filled the vacancy. 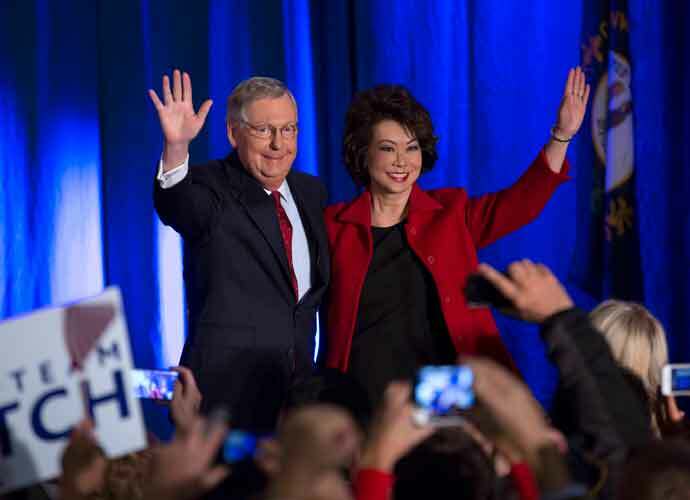 “You have to go back to 1880 to find the last time a Senate controlled by a party different from the president filled a vacancy on the Supreme Court that was created in the middle of a presidential election year,” McConnell said on Fox News. McConnell echoed his first point on CBS News, defending himself against critics calling his previous actions politically motivated “What I did was entirely consistent with what the history of the Senate has been in that situation going back to 1880,” he said. In that same interview, McConnell claimed that former Sen. Joe Biden and Sen. Chuck Schumer of New York had both respectively announced that they would block nominations proposed by the then Republican controlled White House during election years. “Talk about hypocrisy,” McConnell said. McConnell responded by claiming Dickerson was misconstruing facts, and that Dickerson didn’t know the Senate’s history as well as he did. The ambiguity of his response has made many wonder whether McConnell intended these interviews as a call for Republicans to begin preparing candidates for a possible 2020 nomination. There are currently two Supreme Court Justices, Ruth Bader Ginsburg and Stephen Breyer, age 80 or over, both of whom have voted with the liberal bloc during their time on the bench.